For anyone looking for a home near the NUS area or for a place with a good pool of potential tenants, The Village may fit the bill. 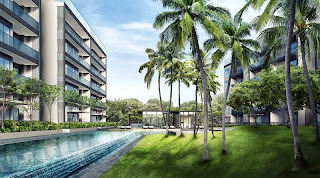 It is located in District 05, at 417-471 Pasir Panjang Road, opposite West Coast Park. This a new freehold development by Champsworth Development Pte Ltd, the developers of OKIO in District 12 and Gilstead Two in District 11. T.O.P is targeted for Dec 2016. This Singapore property has been in the market for some time and a only few units are left but its a good mix of 2,3 and 4 bedroom units. Towards the tail end, developers are often more flexible with prices so as to move the last few units faster so it definitely worth checking out The Village if you like the West Coast area or looking for a place with tenancy yield. The large potential tenant pool comes from the Science parks, NUS, NUH, expats with children in United Work College (SEA) and Japanese schools in the area. The design of The Village is retro and the 148 residential apartments are spread between nine 5-storey blocks. The common facilities include a 50m lap pool, retro playground, 3-D tilted lawn, children's pool, gym and a 350m path for strolling, jogging or cycling. The Village is 3-minute walk to NUS (at least to the nearest part of it as NUS is huge). Other well known schools such as ACS (International), UWCSEA (Dover), Singapore Poly, 3 Japanese schools, Nan Hua High School and Fairfield Methodist School are all a short drive away. The nearest MRT station, Haw Par Villa (CC25) is 1.6km away but is still convenient to access as bus stops are just at the door step, on Pasir Panjang Road and West Coast Highway. The bus trip is about 6-10 mins. Connectivity to other parts of Singapore is good via the AYE and West Coast Highway. The main draw of The Village is its close proximity to NUS, NUH and Science Park II and III and the large tenant pool from these areas. It is also worth looking at for those who enjoy living in the West Coast area. 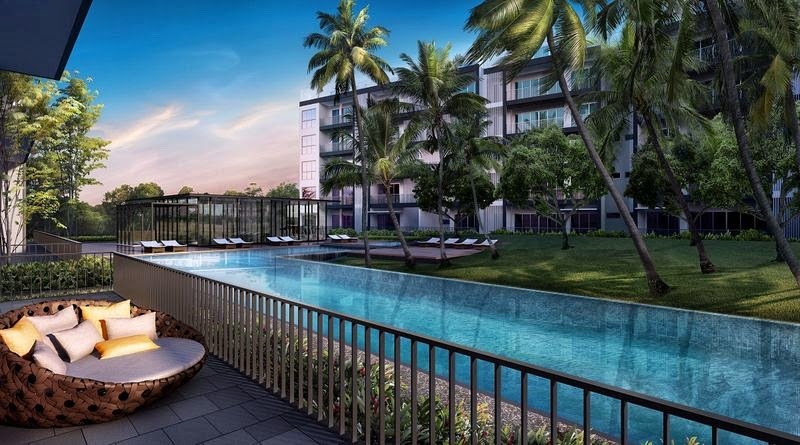 For more information on this West Coast condo, please visit sgpropertysource.com or contact me at 97323160 or via faithchngsb@gmail.com. For another property in Pasir Panjang, check out Whitehaven. 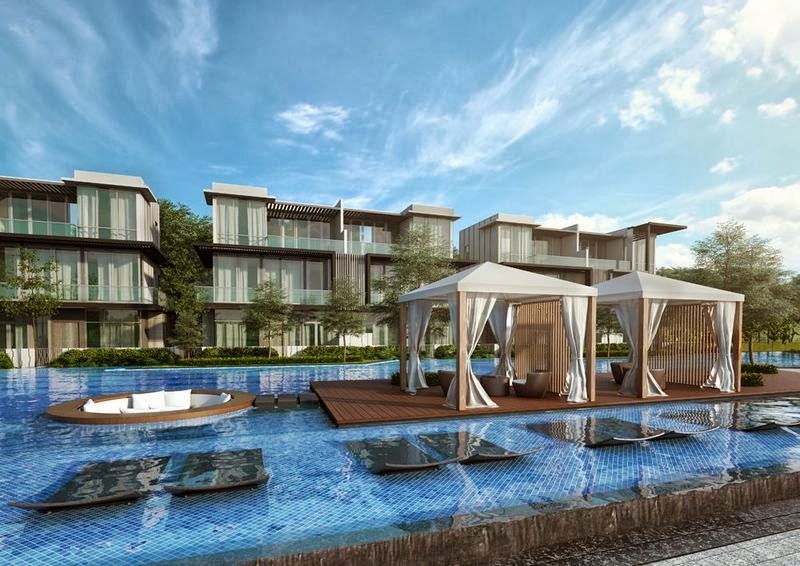 The Rosyth Collection is an enclave of landed properties consisting of 6 terrace units. This development is ideal for those who prefer landed property and have a large family to accommodate. The Rosyth Collection has a 999-year tenure and is located in District 19, at the junction of Rosyth and Leith Roads. There are 4 corner terrace units and 2 inter-terrace units with land areas in the range of 211.7-215.7 sqm for the corner units to about 165 sqm for the units in between. 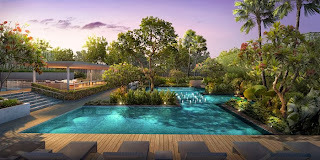 Built up area is in the 414-437 sqm range. All corner units have 5 bedrooms and come with a swimming pool. The in-between units have 4 bedrooms and a study. Every home comes with a Jacuzzi, private lift and a roof terrace for gatherings and weekend parties. There is enough space in the porch for 2 cars. 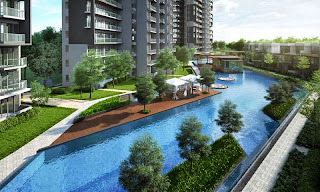 In addition to The Rosyth Collection, there is another landed property for sale near Kembangan MRT. It is called Terra Villas. For more details contact me at 97323160 or send an email to faithchngsb@gmail.com. 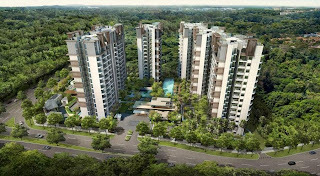 Additional information can also be found at sgpropertysource.com. 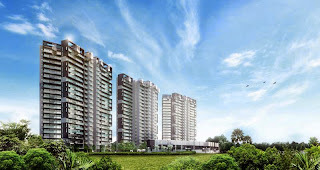 The Skywoods is a 99-year leasehold condominium situated in District 23. 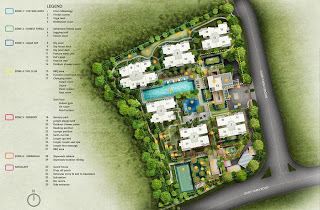 Its address at 1, Dairy Farm Heights is next to Dairy Farm Estate and is in an enclave dominated by good class bungalows, condos and landed properties. 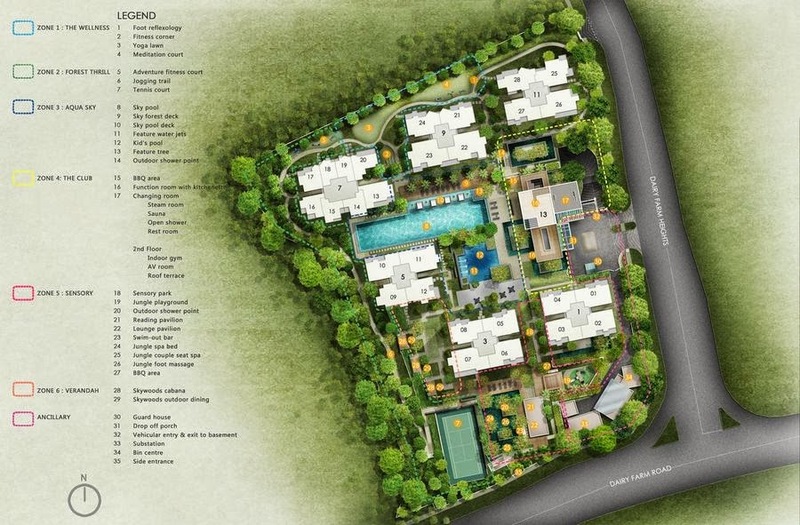 The big draw about The Skywoods is the tranquility because in an area filled with nature parks and catchment areas. 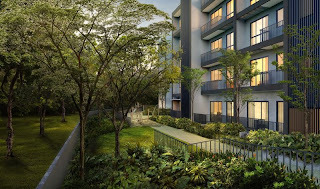 The Skywoods is a great choice for nature lovers with the trails and wetlands in the Dairy Farm Nature Park across the Dairy Farm Road from the condo and with Bukit Timah Hill and nature parks in the neighbouring Bukit Batok area nearby. 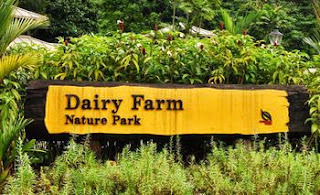 Joggers and bikers will be thrilled by the convenient trails in the Dairy Farm Nature Park as well as the 20km cycling trail of the nearby Western Adventure Park Connector network and the challenging bike paths in Bukit Timah Hill. Being surrounded by nature does not mean isolation as there is great connectivity and closeness to amenities such as good schools and shopping. The development consists of 420 condo units spread out between 6, 15-storey tower blocks built on a site measuring 17545.8 sqm or 188862 sqft. A good mix of floor plans for 1-4 bedroom units are available ranging from 527 sqft to 1345 sqft (and above for penthouses). Several schools such as CHIJ Our Lady Queen of Peace (480m), St Joseph's Kindergarten, Bukit Panjang Primary School and Chestnut Drive Secondary School are located in the vicinity. 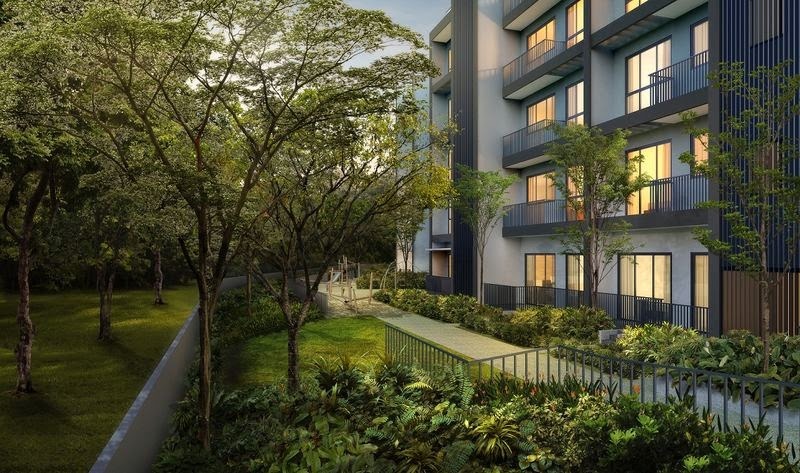 The Skywoods is a convenient distance from Upper Bukit Timah Road and a short 5 minute walk to the future Hillview MRT station, part of Downtown Line 2. This of course makes it easy for parents and school going children and young adults to get to these schools and the other good schools further along Bukit Timah Road and Dunearn Road. 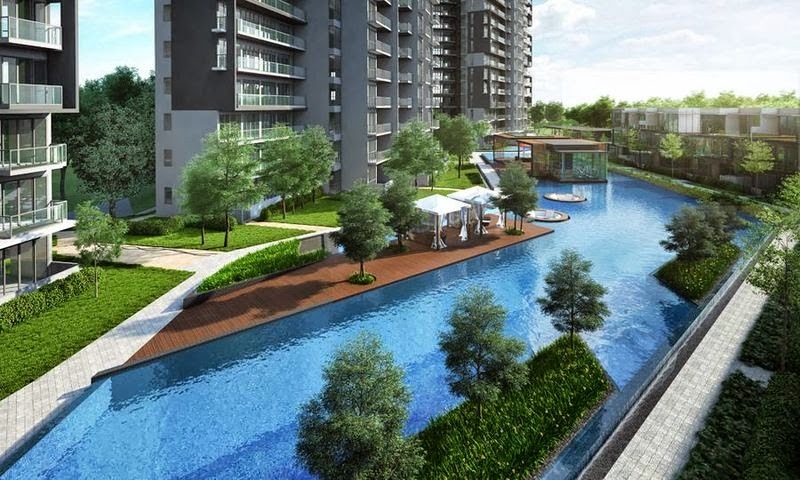 In a nutshell, The Skywoods offers tranquil, convenient and quality housing at prices that are highly attractive when compared to the neighbouring District 21 and still have the advantage of quick access to high end schools such as Hwa Chong, SCGS and SJI. 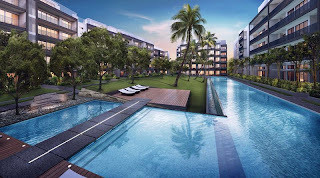 There are a myriad of shopping areas nearby such as Rail Mall (700m away), Bukit Panjang Plaza, Hillion Mall (U/C) and Junction 10 as well as Bukit Timah Plaza and Beauty World. Its proximity to the BKE gives it excellent connectivity to the rest of Singapore via the SLE, TPE, CTE and PIE and as well as to our neighbours across the causeway. Please visit sgpropertysource.com for more details on The Skywoods @ Dairy Farm and other great Singapore properties including landed, mixed development, commercial, industrial, resale and rental properties. For quick information text or call 97323160 or send an email to faithchng@gmail.com. 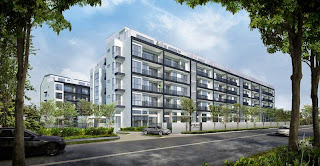 Thomson Three is the latest 99-year leasehold property jointly developed by well known developers UOL and Singland. It is located on an elevated plot of 145000 sqft next to Bright Hill Drive and within 1km of the highly sought after Ai Tong School. This development has an rare mix of 435 condo units and 10 strata semi detached units. 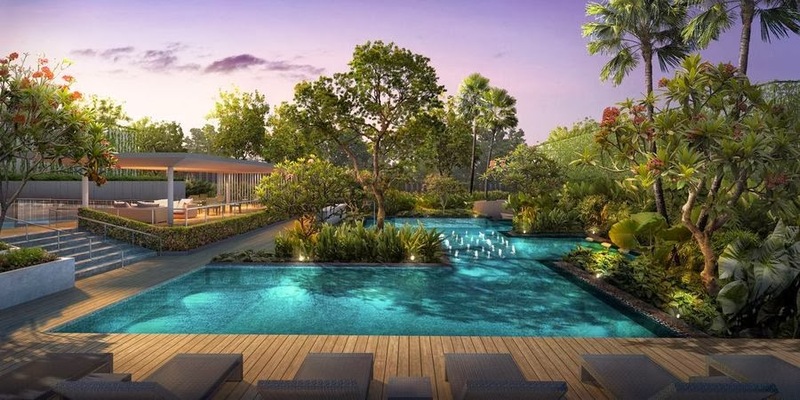 Being located in a low rise, landed enclave, it offers superb views of the neighbouring reservoirs, the Singapore Island Country Club with some units with views of Bukit Timah Hill. 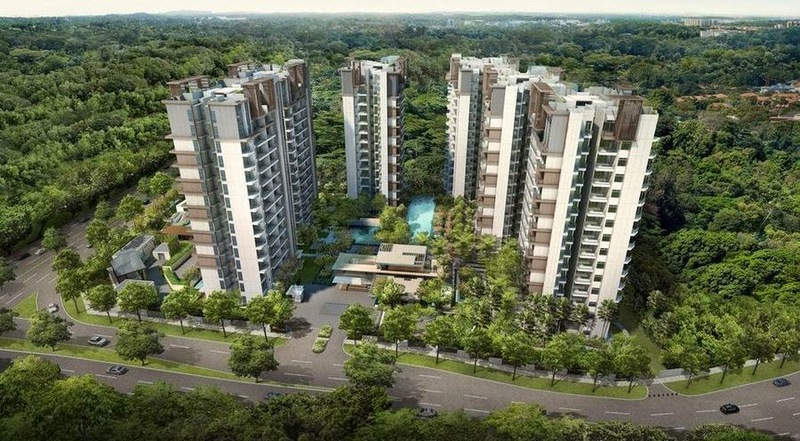 For nature lovers, Thomson Three is minutes drive away from Lower Pierce and MacRitchie Reservoirs and Bishan Park.The strata units come with 2 carpark lots each and a private lift and offer additional security within the enclosed environment of the condo as well as the use of condo facilities. Future value will be enhanced by the planned Upper Thomson MRT station, a convenient 2 minute walk away. This station that is part of the planned Thomson MRT line that starts at the future Woodlands North Station and ends at future Gardens by the Bay Station. 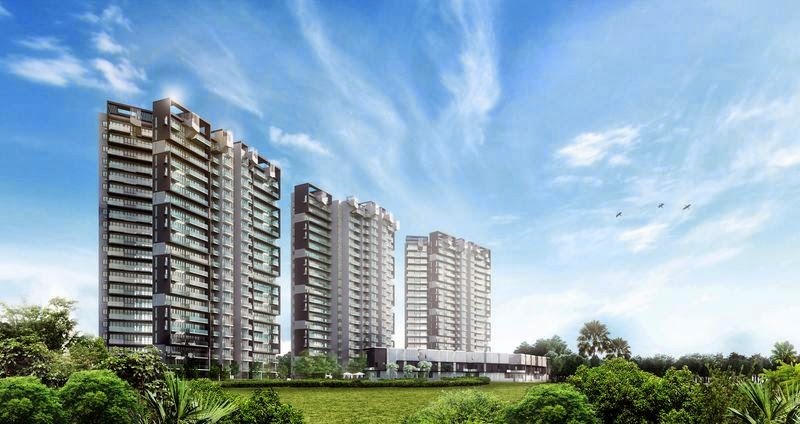 When fully completed, the Thomson Line will boast remarkable connectivity to Woodlands Sembawang, Lentor and to the Orchard, Shenton and Marina Bay areas. Thomson Three is linked by Upper Thomson Road to SLE, TPE, Yishun and Sembawang in the north and the CTE in the south. 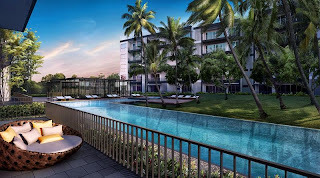 Other amenities in the area include the ever popular Thomson Plaza shopping center, an icon in the Thomson area as well as numerous shops and restaurants and petrol stations along Upper Thomson Road as well as the Singapore Island Country Club. Thomson Three is now on sale and has seen robust interest from customers looking for a good layout, quality finishing at reasonable prices. Contact us for the latest news, prices and floor plans. The major draws for Thomson Three are its proximity to the Upper Thomson MRT station, great and unobstructed views of the surrounding green areas, great floor plans, high quality finishing and highly competitive pricing. 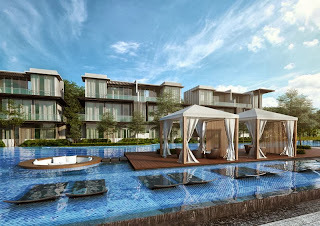 For more details, visit sgpropertysource.com or call/text 97323160 or send an email to faithchngsb@gmail.com. Don't miss this great opportunity.